We already talked about how great all the departments stores in London are and how they are perfect for a good shopping spree (post here), but what if you don't feel like staying inside a store? 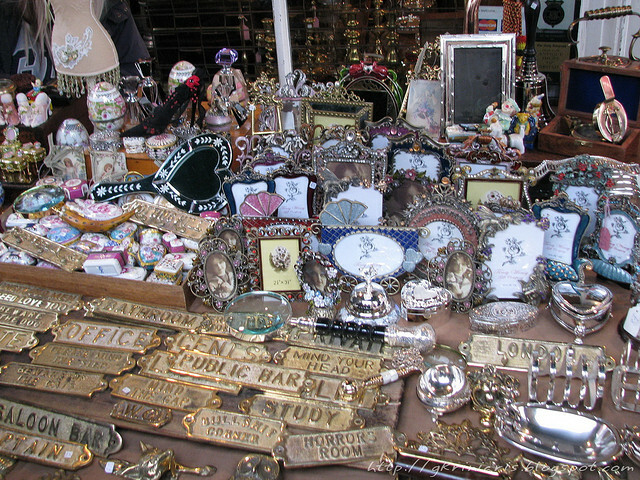 London has great shopping streets, with stores for every taste, size and budget. The british style is famous: woolen, tartan, tweed and cotton are greatly appreciated, not to mention prints of known brands like Laura Ashley and Liberty. Other items are the region's traditional soaps, floral perfumes, antiques and porcelain. Oxford Street is a great starting point, with over 300 stores, the most part belonging to large international chains. Oxford Street is also home to many department stores, none of which is more famous than +Selfridges Co. There is also a wide selection of bars, restaurants and cafes. 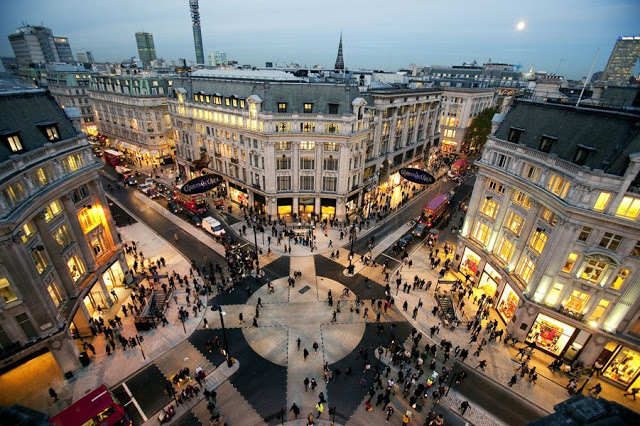 Regent Street is the home of iconic shops, including +Liberty London and the largest toy store in the world, Hamleys (prepare to become a child again). In the nearby streets, you will find numerous restaurants, bars and a selection of small boutiques. Behind Liberty you will find what is best in terms of purchases that are, let's say, different. 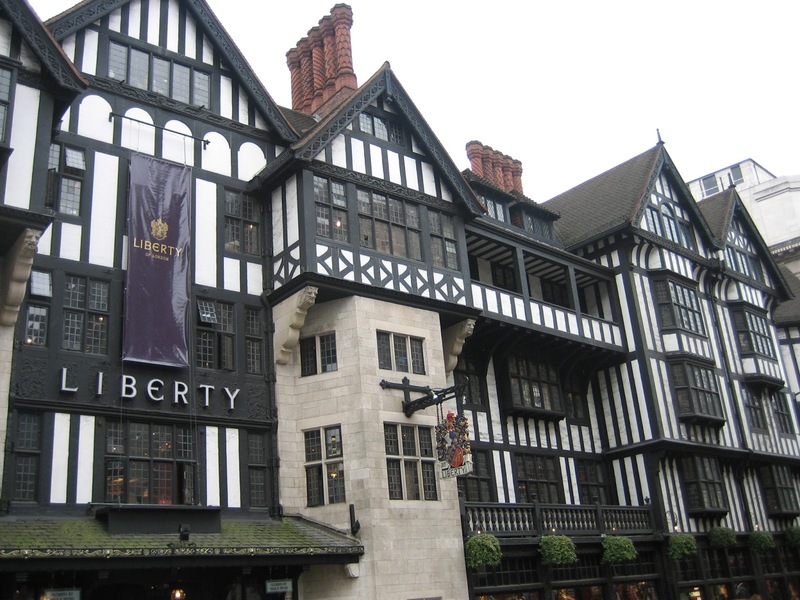 The Carnaby Street is ideal for those who want something a little more alternative. Take a look at the various concept stores, one off boutiques and second hand shops that sell the latest fashion in clothes for the day to day and a wide range of shoes! For those who want exclusive brands - New Bond Street is the place to be. This is where celebrities go to buy clothes from the best designers in London. In addition to boutiques, there is the department store Fenwick. Jermyn Street has always been known as a shopping street dedicated to menswear, with suits and shirts for the most elegant man. In recent years, new very nice shops opened, including stores with unisex shirts. Kings Road is actually a mix of relatively conservative boutiques with good products, designer shops, interiors design and furnishing stores. For those who want something more out of the box, Notting Hill is a mix of different clothes, antiques and bookstores, as well as many cafes and pubs to relax and enjoy the view and the various sounds. 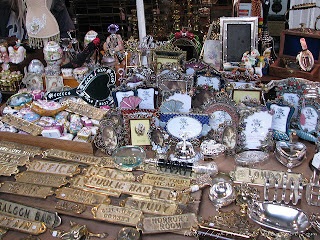 It is especially good on Saturdays when the famous Portobello Market takes place.